There are typical phases most businesses go through on their Pardot automation journey. First, it’s about getting the basics up and running; the landing pages and forms working, autoresponder emails sending successfully, and all data going to the correct places. Next, comes the exciting yet challenging task of evolving these basic marketing automation capabilities into more sophisticated plans and actions. Like using Pardot dynamic content to personalise each of your prospects’ interactions with your brand, for example. Pardot dynamic content is just one of the ‘bells and whistles’ features that got us all so excited about Pardot automation in the first place, isn’t it. Along with the Engagement Studio and Scoring, of course. These are the premium elements that take us from simply saving our team the time of manually sending emails and managing data lists, to really building one-to-one relationships with potential customers. Most of all, it’s a move from better productivity alone, to better productivity and better lead nurturing. If better lead nurturing results in as much as 72% higher conversion rates, surely, Pardot dynamic content is a no-brainer. 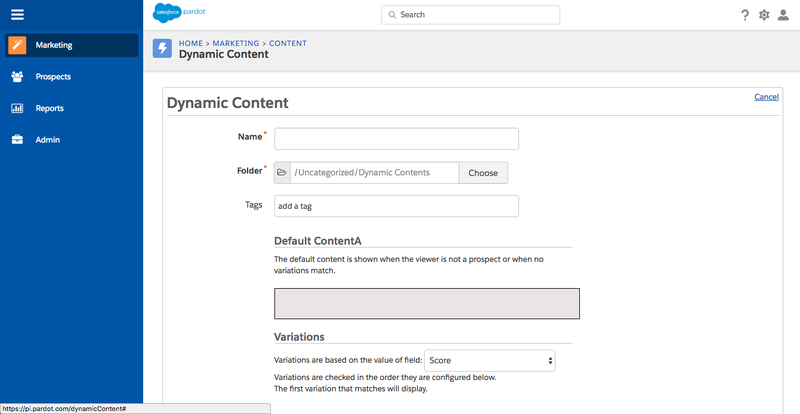 Why aren’t marketers using Pardot dynamic content? The problem is when it comes to actually creating that documented automation strategy and then rolling out the tech setup required for Pardot dynamic content to work properly, having the time and focus is essential. Before we can personalise emails and landing pages beyond the basic %%first name%% fields, we must know our customers and their journeys, inside out. We need to know which of our buyer personas each prospect best fits, based on their demographic and behavioural data. If this type of data isn’t available, there’s a bit of groundwork to do and 46% of marketers have cited lack of time as the biggest hurdle to content marketing personalization. So, what tends to happen, is the automation journey becomes stagnant, sometimes for months on end. Pardot still works, it’s still efficiently running your basics in the background, yet it’s not being used to its full potential. Let’s see if we can change that! I’ll start by saying the personalisation of marketing content is not a new or complex thing. It happens to each of us every day. When we access our social media feeds, search engines or even shopping networks like Amazon and eBay, the recommendations, text and images we see are tailored to our previous behaviours, location information, or the personal data we have given these platforms. The ultimate goal is to better our experience on the channel so we continue to use and return to it. As marketers and consumers, we know that especially online, those one-to-one, relevant communications that speak to us directly, are more effective than mass broadcast type communications. They make us feel individual, special, and paid attention to, which leads to feelings of affinity, preference, and loyalty to a brand. Now stop and think about your own website. When a returning user comes to your website, do they feel recognised? When they receive an email, do they feel as though the content of that email was prepared specifically for them? You might achieve this to some extent by segmenting your data by buyer persona type and then tailoring your email copy to each persona. You might even have these buyer persona identifiers on your website by giving people an option to click their own job function i.e. ‘Pardot for marketers’ or ‘Pardot for salespeople’, which is great for first-time visitors. Pardot dynamic content takes this attempt at personalisation to an incredibly higher level. I’ll pause here to highlight that with Pardot, you can personalise your website. This is something I find a lot of businesses using Pardot don’t even realise. The first step to using dynamic content then, is to establish the criteria you want to personalise by. For example, you might offer different services for different countries, in which case rather than list them all and make the user navigate to the most relevant, you could display only the services that are available to them. Or, the content change could be a subtle design switch, like choosing to personalise by job function and show one type of hero image on your website home page for somebody in marketing, and another for somebody in sales. You might even showcase a specific download for a specific job title, making that person more likely to micro-convert on your site again and engage more heavily with your business. In the case of an email newsletter, you can use previous behaviour criteria to dictate what content that person sees in their version of the newsletter. For example, if you know they last viewed a blog post about a particular topic, you can intro your newsletter with that same topic. The opportunities are great but first you just need that basic strategy for how you should change your content specifically for your business and your customers. Once you have this, the rest is just tech setup of the variations and rules, then measuring and adjusting performance. There are some great examples of personalisation using Pardot dynamic content in this post. What happens if a prospect meets multiple criteria? If you have a prospect who matches more than one criteria, for example, they match a certain country and job function, then when you set your dynamic content up, the top version will be prioritised. So if the prospect matches the criteria for variations 2, 3 and 4, they will see variation 2. Pardot explains more about this here. If you have a piece of information across several pages on your website that you have to change manually every month; make it dynamic. Change it only once a month within Pardot and save yourself some time. Given all of this information, I hope that if you haven’t yet utilised Pardot dynamic content to supercharge your lead nurturing, you’re itching to get going with it!  Of course, if time or the tech set up is still a bottleneck for you, MarCloud do offer on-site training or even a managed service where we take this task off of your hands. We’re marketers too, so our services aren’t just about the software, they are about delivering great results for your business! You can contact us here.